By 2010 the once flourishing sector was in dire straits, its main activity now the construction of luxurious individual villas in spots such as La Zagaleta and the renovation of old properties by specialist small-scale developers. In the midst of this, however, a few companies had the foresight and confidence in the local market to approach the banks and begin to finish projects, upgrade and market them, and add post-sale management services not seen here before. The success they achieved at a time when most of Europe was still in full recession and the press spoke of the Spanish property sector in disparaging terms is not just impressive, but admirable. As the Costa del Sol was one of the first regions to emerge out of the shadows and back into growth it saw the early transition from the redevelopment and sale of unfinished, unsold projects to the creation of new ones. International funds were quick to grasp the opportunities, and have helped spurn a new era of property development on the Costa del Sol. The return of construction in the region has, however, coincided with a major shift in consumer tastes. Together with new technologies this has opened up a whole new age of development that over the coming years will slowly transform not just how Marbella and surroundings look, but also what its housing stock offers. We spoke to leading local developers about Marbella property development in the 21st century. Backed by a US investment fund, RCS first entered the Spanish market at a time when the banks still held vast portfolios of distressed properties. Recognising the potential of Marbella, the company focused on the redevelopment and commercialisation of projects in the area, though it is also pursuing opportunities in the Balearic Islands, Costa Blanca and Portugal. In a relatively short time RCS has built up an impressive portfolio and a reputation for results based on quality and innovation. RCS was one of the first to see the potential in the market, redeveloping projects with great success at a time when the property sector was feeling rather sorry for itself. “The situation was somewhat different in the resale market, but there was a demand for new homes and we were in a position to modernise and upgrade the projects we took on.” And this is something Taylor and his team have become experts in, though he stresses that it is not a simple value added formula that he follows. Having recently celebrated its 25th anniversary as a multifaceted real estate company, FM Consulting is one of the longest established property firms in the region. More than just a promoter, its specialisation follows the entire value chain, from conceiving original concepts and land acquisition through to product development, construction, finishing, marketing and sales to ongoing management. As a result, the group has a long list of emblematic projects to its name across the Costa del Sol. 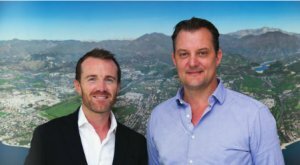 “What I am proud of is the reputation we have built up in 25 years for being a serious, professional company that produces quality products and subsequently maintains and manages them to very high standards,” says the founder and CEO of one of Marbella’s most highly respected property development companies. The fact that Fausto Martínez is the sort of person who personally reviews client feedback every Monday morning says it all about the man known for his punctuality, efficiency and perfectionism. For Fausto Martínez it is, however, about more than personal success alone. “Our brand is strong, but we form part of the greater Marbella brand, which we have to work hard to nurture and improve even if it isn’t directly related to our own daily operation.” For this reason he has long been an advocate of creating a sense of excellence in key local industries such as hotels and restaurants, and is working together with other entrepreneurs and local authorities to promote and improve the Golden Triangle of Marbella, Benahavís and Estepona. Again, the company’s up-and-coming projects, to be launched next Easter, are both located within the municipal boundaries of Estepona, but like his peers at Altavista and RCS, Fausto believes property developers have a responsibility towards the future urban landscape and desirability of the entire Costa del Sol. This entry was posted on Tuesday, February 2nd, 2016 at 2:52 pm	and is filed under Freelance Writing, Property. You can follow any responses to this entry through the RSS 2.0 feed. Both comments and pings are currently closed.